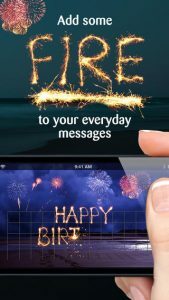 FireScribe is an iPhone app developed by James Wadley. 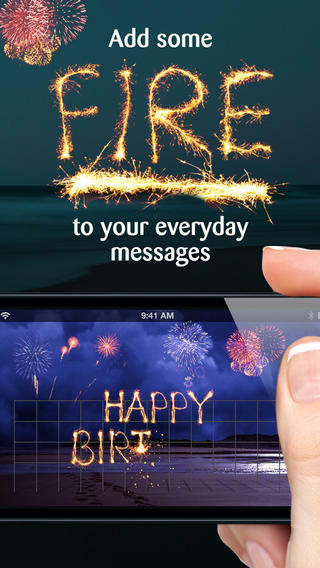 This cool app lets you send fantastic, fireworks-laden messages to people you care about. There is also a Lite version available. Here’s a simple rundown of how this app works. First, you choose an image. You can select the image you want to use from your Camera Roll, or you can take a new picture. 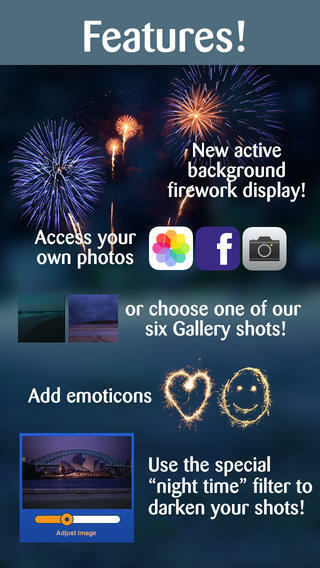 You can also choose an image from the gallery, or even pull a Facebook photo into the mix. After that, you compose and orient your message, and then you’re good to go. 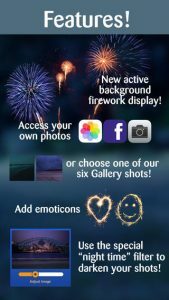 Other special features include support for fireworks-style emoticons, as well as a “night time” filter that lets you make photos look like they were taken at night…but, you know, more clear and visible. After you’re happy with your creation, you can share your message via text, email, Facebook, or even YouTube. The integrated social sharing gives you tons of options for reaching your recipient. The interface is easy to navigate. On top of being intuitively designed, this app is also zippy and responsive. No lags or crashes here, as tested on an iPhone 5s. I love the look of this app. 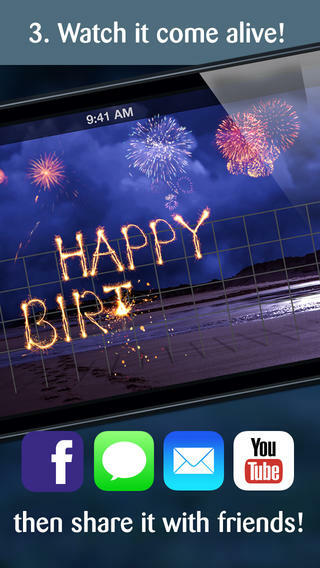 While it has a certain summery feel to it, the app also seems appropriate for communicating year-round. There’s a little international flavor here, too. Backgrounds include Times Square in New York, the Eiffel tower in Paris, or Sydney Harbour with the Opera House. 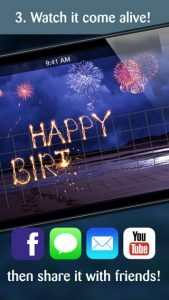 This app is a fantastic way to send birthday greetings, holiday “best wishes,” or just send a quick hello that shows that you care. This firecracker of an app is easy to use, and also easy on the eyes. Definitely check it out! FireScribe requires iOS 6.0 or later. Compatible with iPhone, iPad, and iPod touch. This app is optimized for iPhone 5.